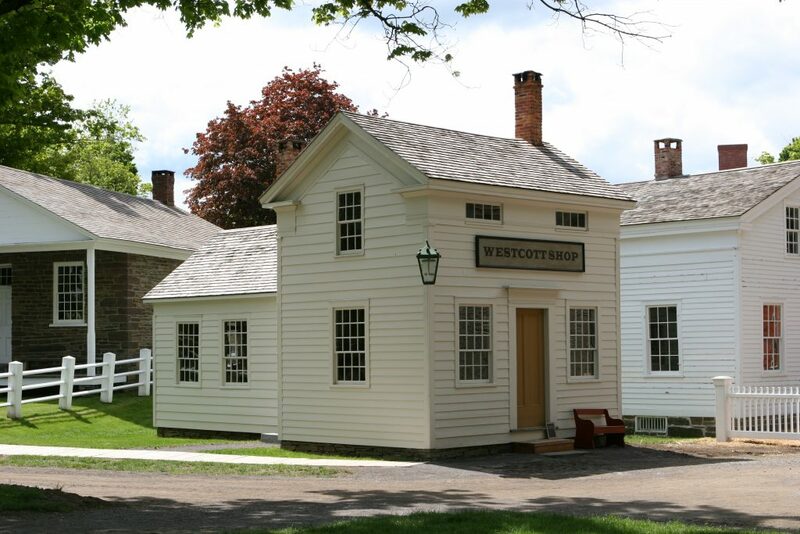 Built in the nearby village of Schuyler Lake, New York, this distinctive Greek Revival-style structure represents the many small commercial buildings found in Central New York in the 1840’s. 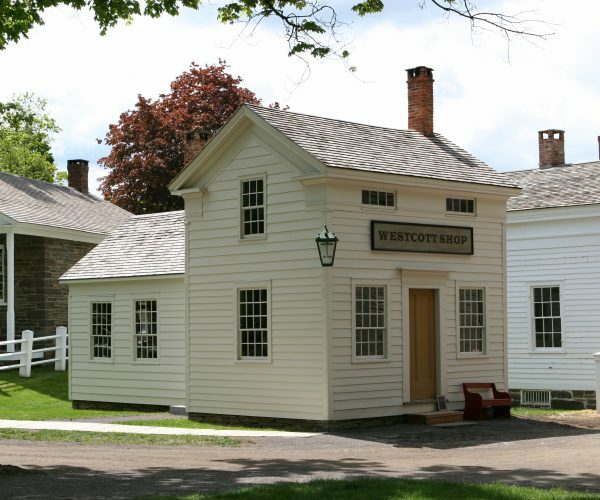 It was built about 1815 as a one room building and had a larger front section added in 1845. 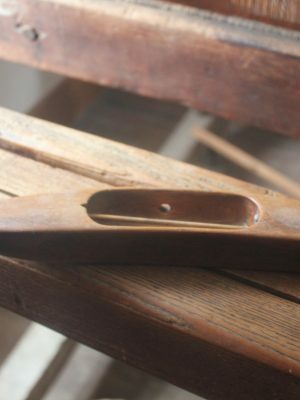 The original section of the building is typical of a one-room shop from Central New York. 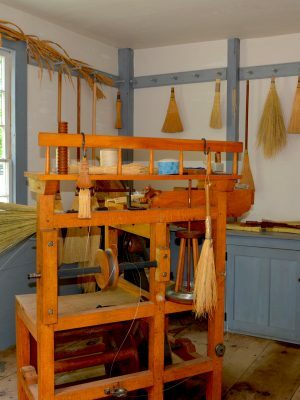 Tradesmen often used one-room shops on their property to house their businesses. 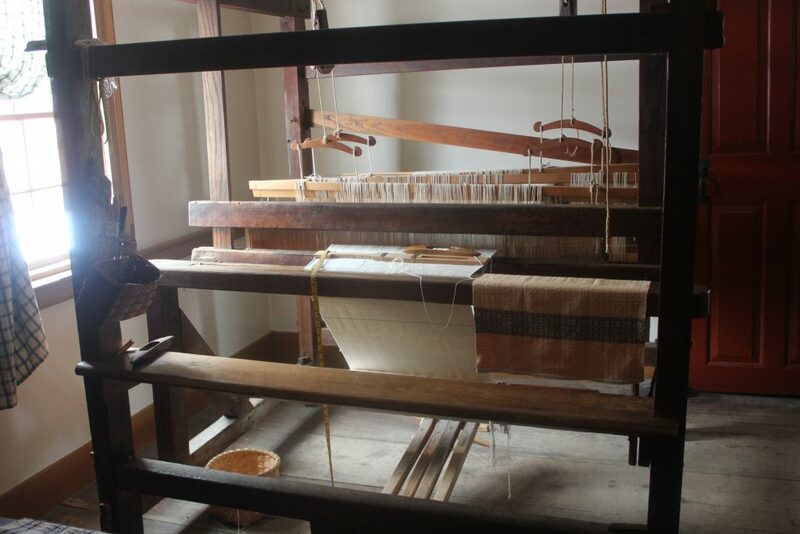 The one-room shop marked a transition from producing goods inside the home to outside the home. 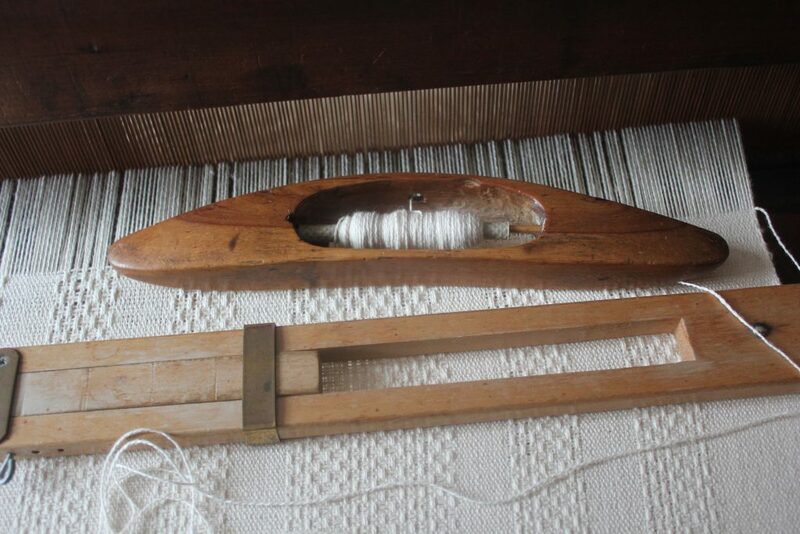 Today, these types of goods are mostly mass-produced by companies and people buy them from larger stores, rather than produced and sold on a smaller scale as they were in the 1840’s. 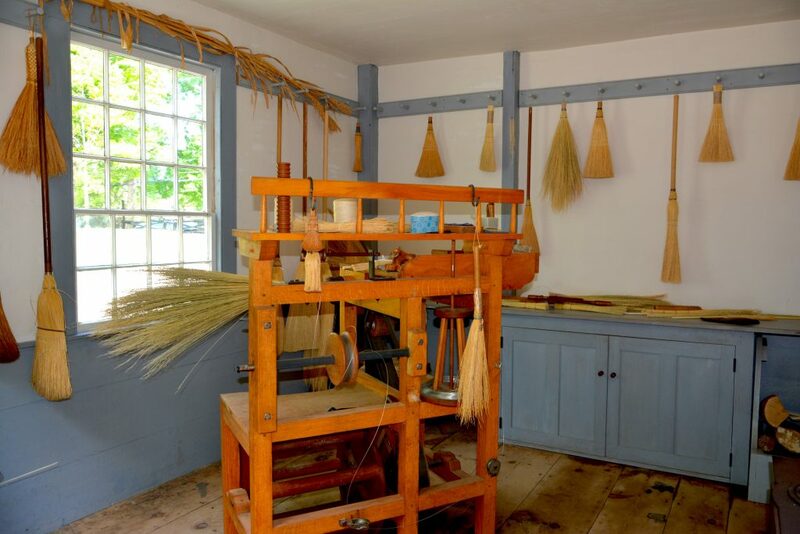 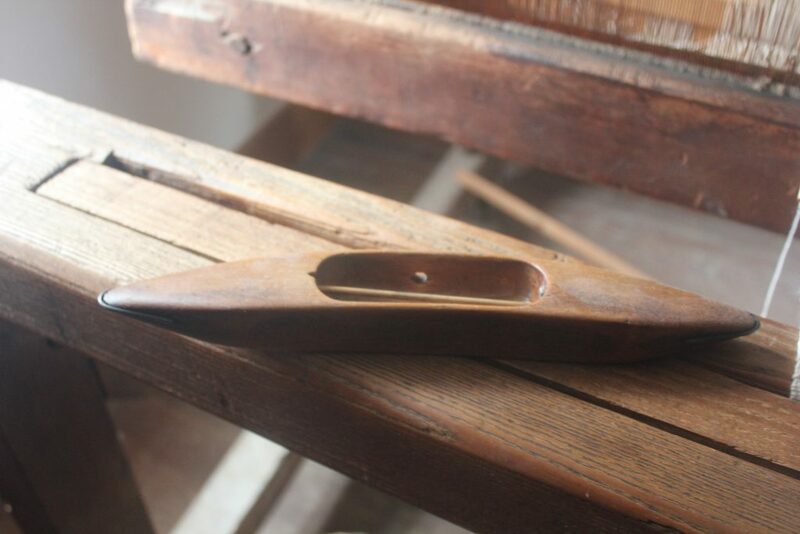 The Westcott Shop at the Farmers' Museum features a broom maker and a fancy weaver. 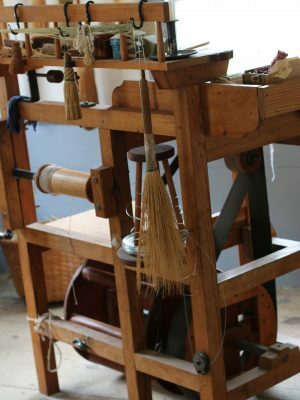 The broom maker’s shop is also housed in the Westcott building. 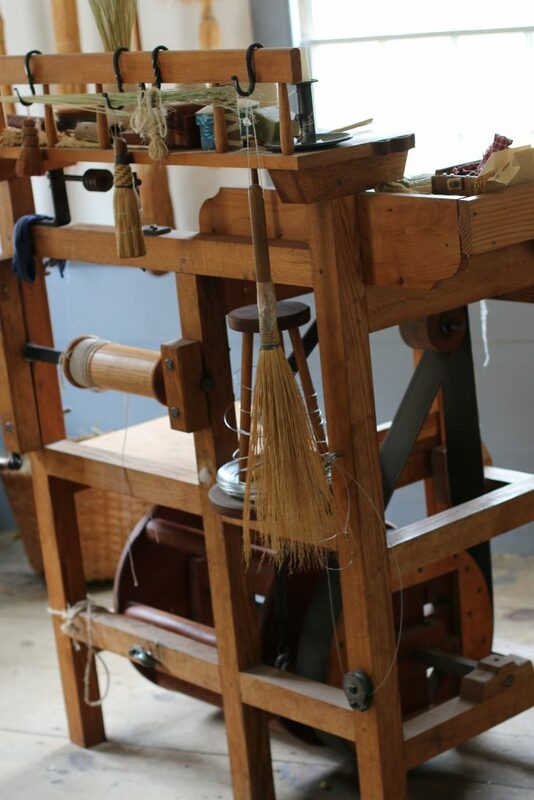 This building features the process and technology of broom hand production of various designs from 1800-1860. 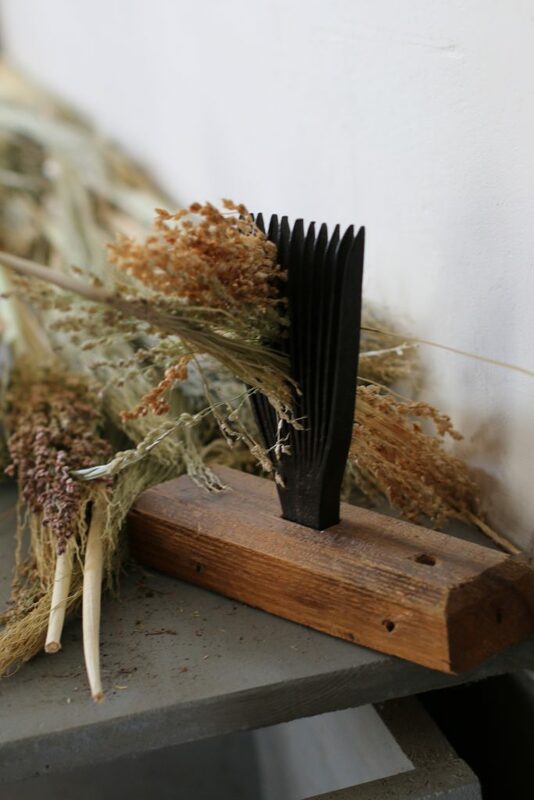 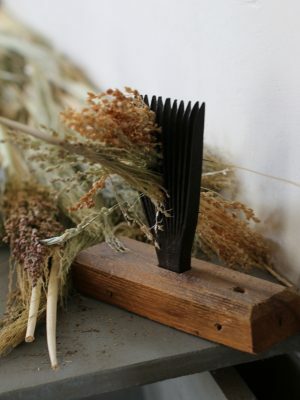 Broomcorn was a significant cash crop in Central New York and broom making had both small-shop hand production and factory power-assisted production. 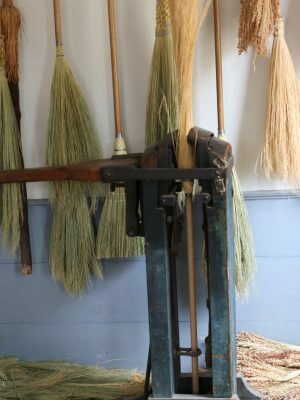 By the 1840’s, brooms were made either by one man – who then sold the brooms door-to-door – or mass produced in a factory. 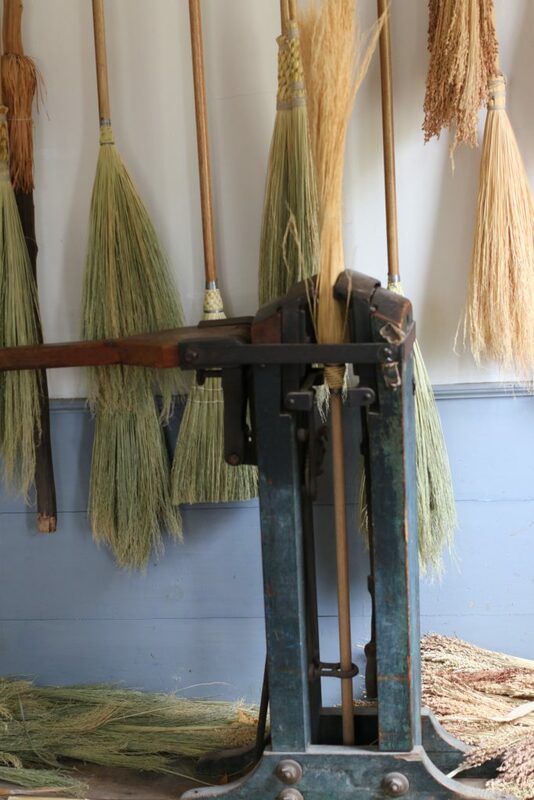 Broom shops and factories produced many kinds of brooms for daily use throughout the community. 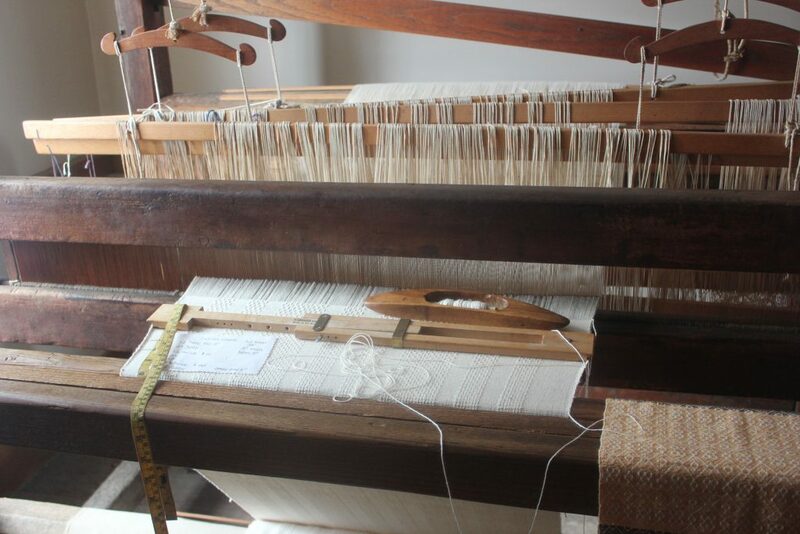 So you want to be a fancy weaver? 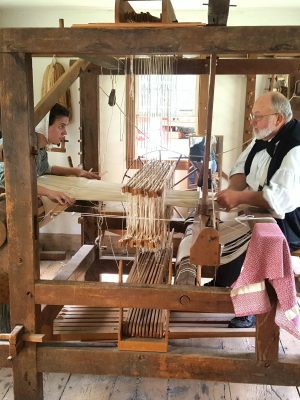 “Fancy”, professional or customary weavers were men, the first of which were European immigrants, who offered the service of weaving in rural communities. 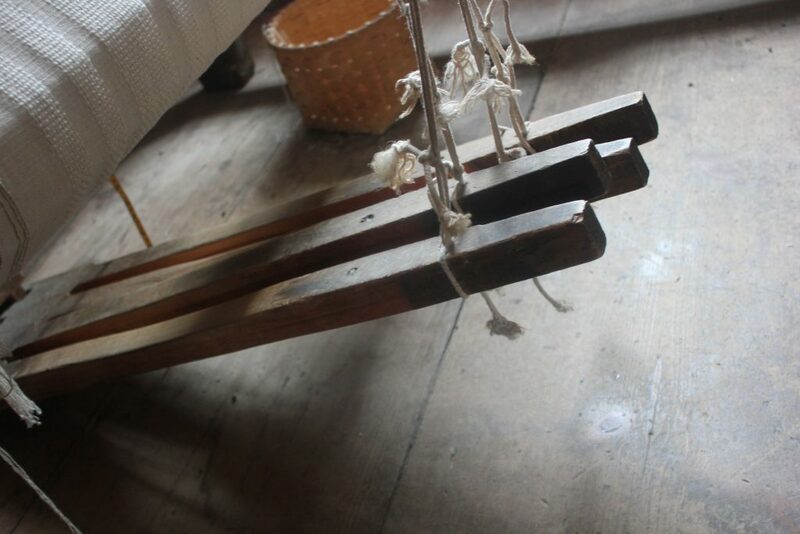 These men were usually trained by apprenticing in the Guild system of cloth manufacturing. 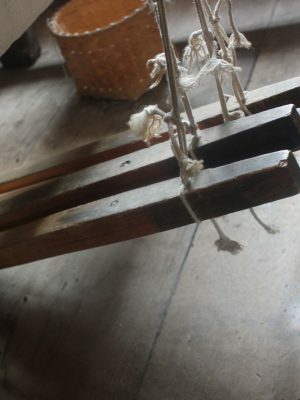 Once in this country they passed the trade on to the next generation by means of mentoring family or neighbors. 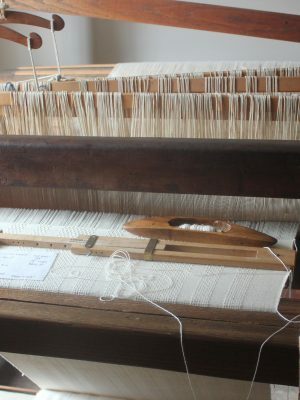 Their usual business model was to come into a rural community, barter with a resident to have use of a room in their home to set up their multi-shaft “Counter Marche” loom, advertise in the local newspapers as to where they were, what they could weave and what yarns would be required for that fabric. 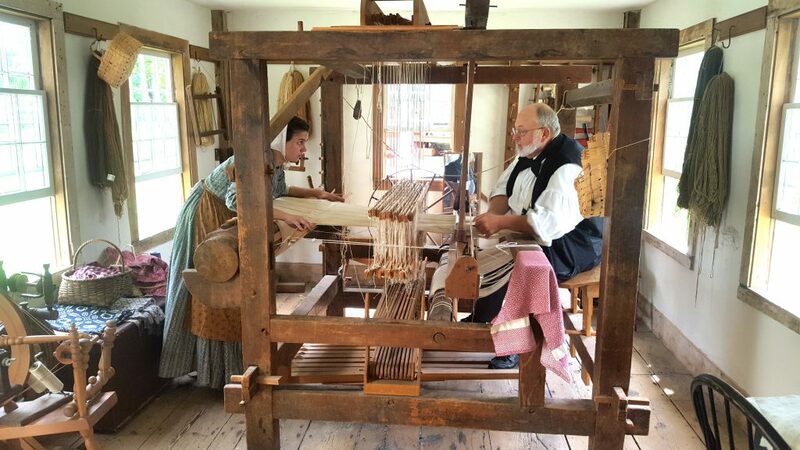 Local “Domestic weavers” (farm wives) would then bring the wool and linen yarn that they were still spinning at home often in combination with the “mill spun” cotton that they could purchase locally to the Fancy weaver. 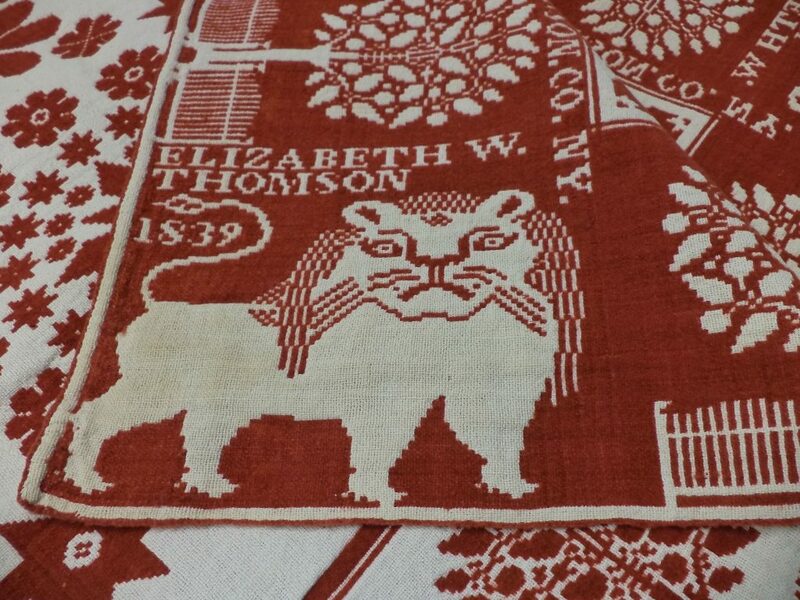 He would have pattern books and samples of designs he created for them to choose from. 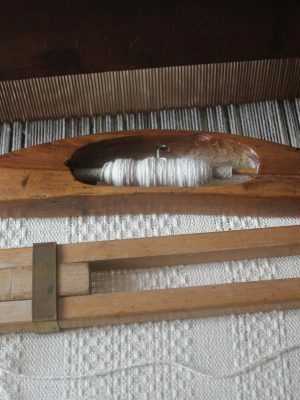 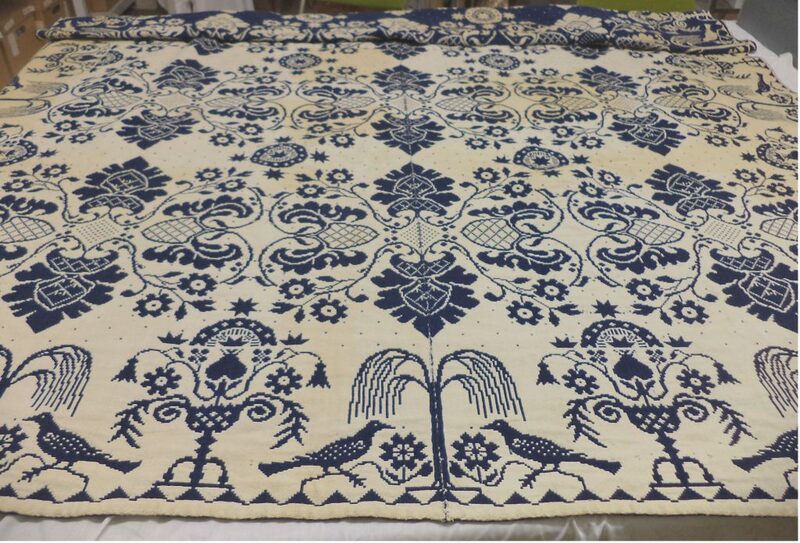 Once the design was selected he would warp his more complex loom with their yarn, weave the cloth in the chosen design to be picked up by the client at the conclusion to the weaving, paying the weaver for his services. 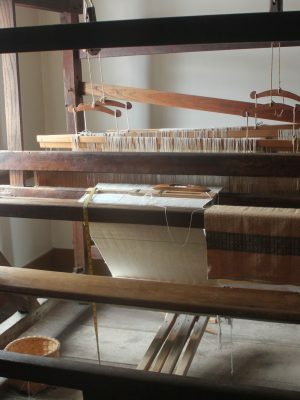 Some weavers also offered the service of dyeing the yarn as well.